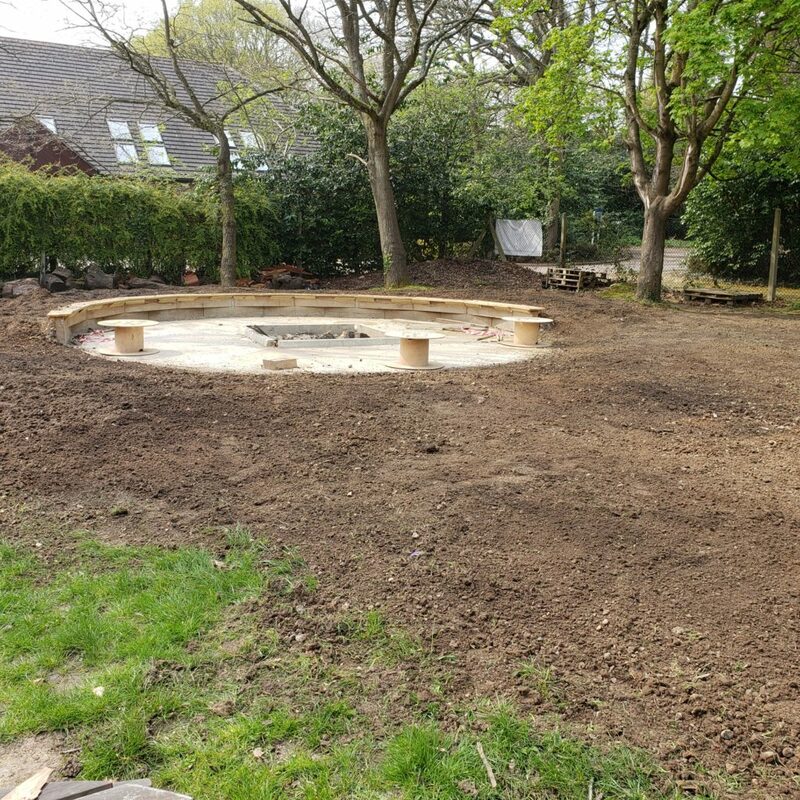 After an amazing amount of hard work, the new Campfire circle area has been transformed from something that looked like the Somme battlefield, to a well presented area ready for planting. 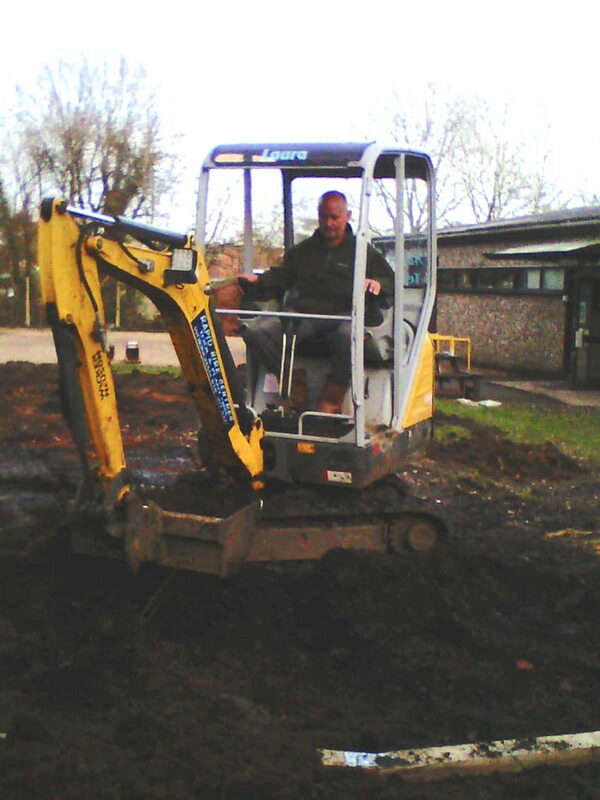 I’m sure the British weather will deliver the rain needed to help the new grass flourish. 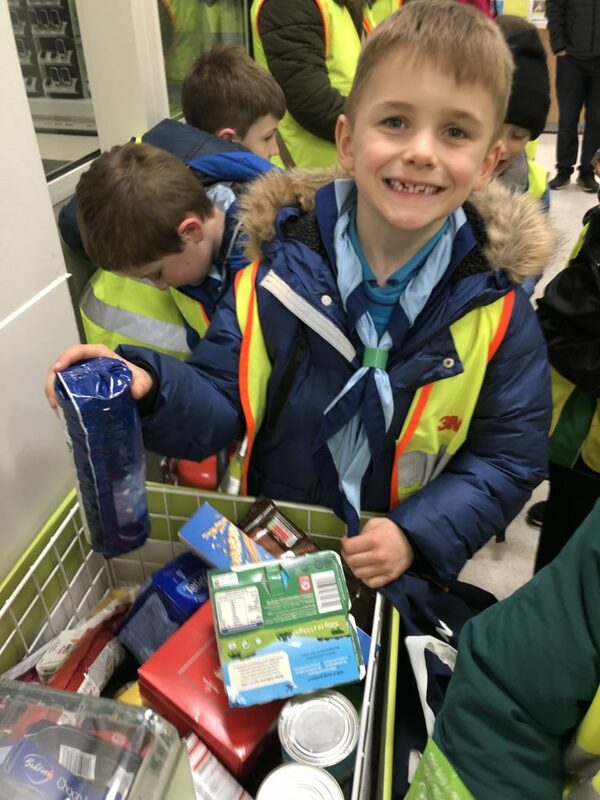 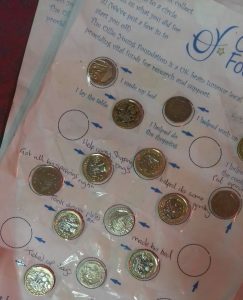 Beavers went the extra mile to help those in need in Wokingham by completing a night hike from their Scout Hut in Woosehill to deliver food donations to the Foodbank collection point at Waitrose. 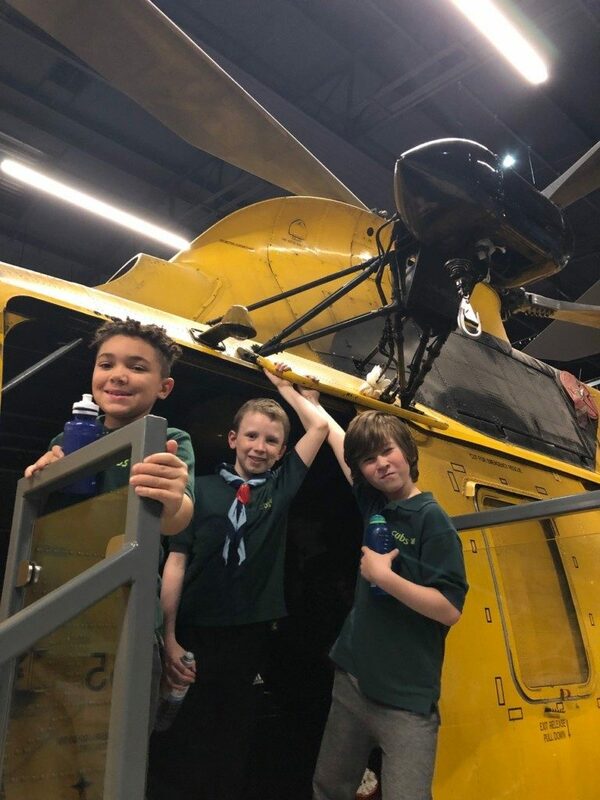 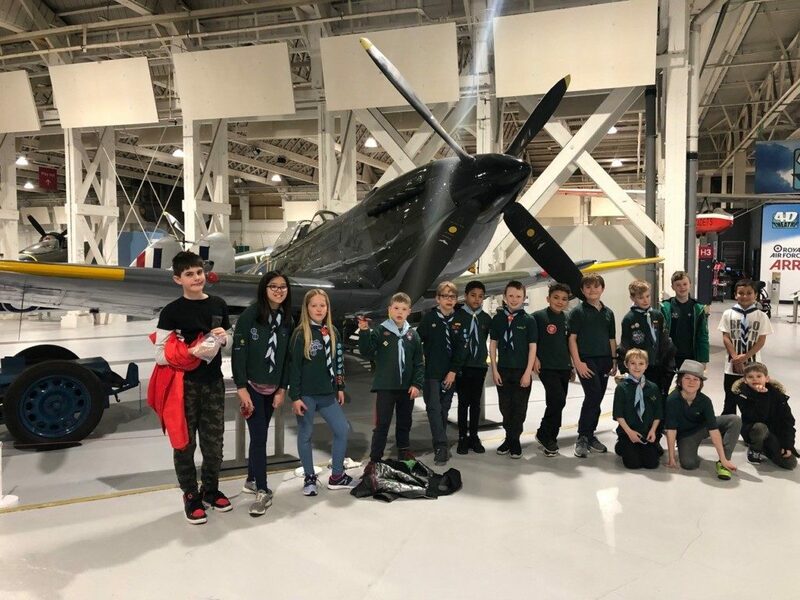 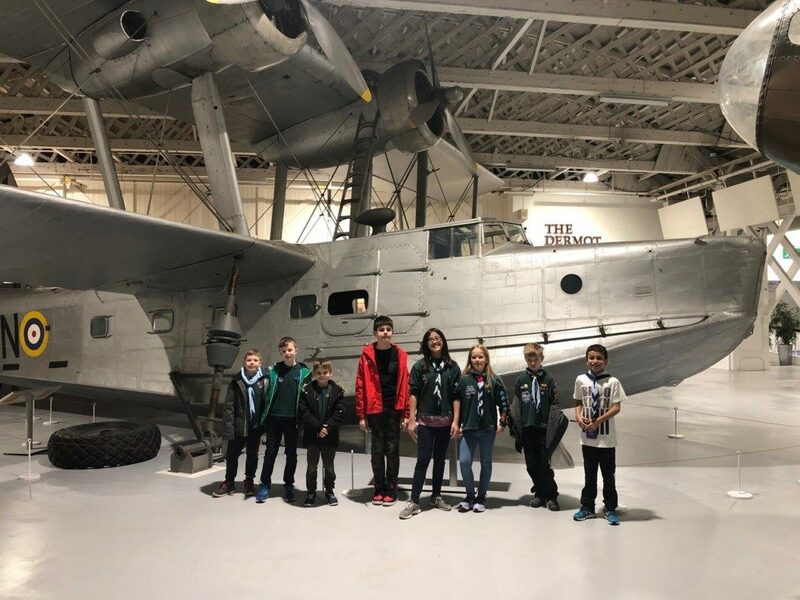 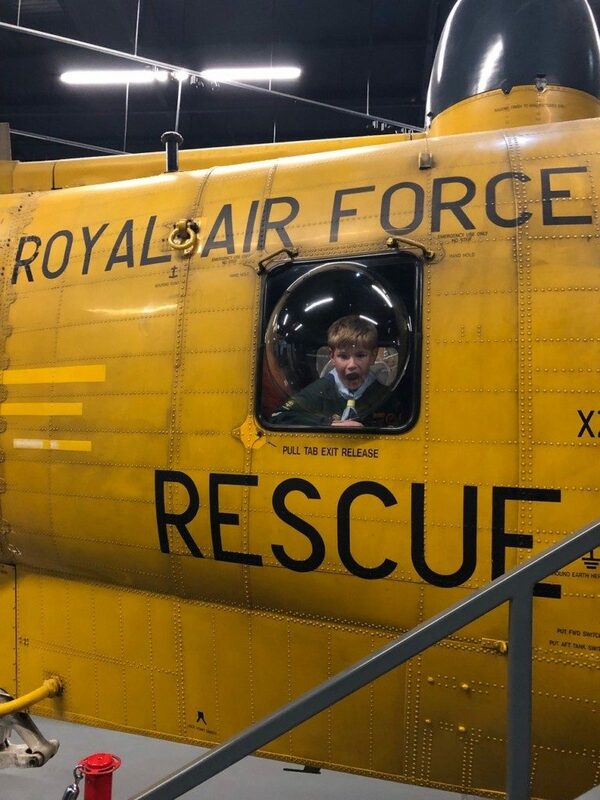 The youngsters filled their backpacks with goodies such as tea, rice, pasta, breakfast cereal and toiletries and then walked nearly two miles in the dark to make the drop off. Along the way, Beavers practiced their Green Cross Code as part of their Safety badge. 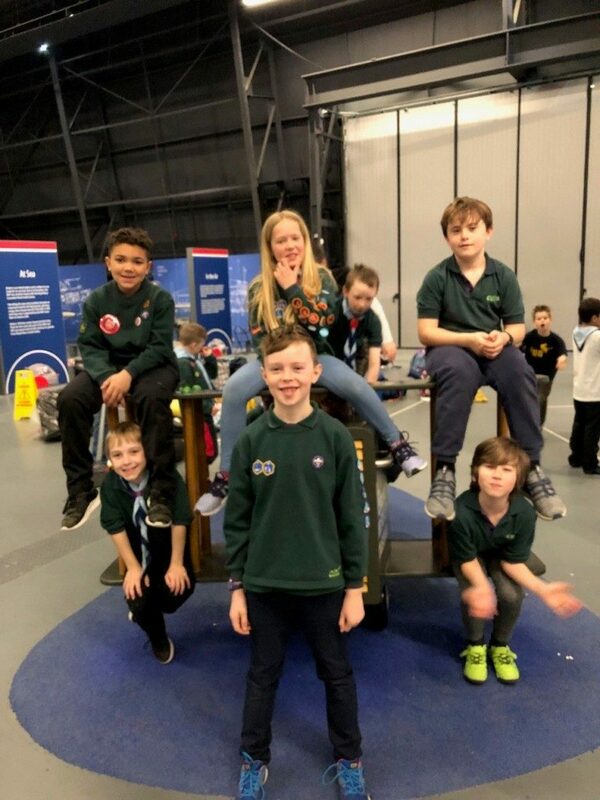 Well done to all of them for being so committed and kind. 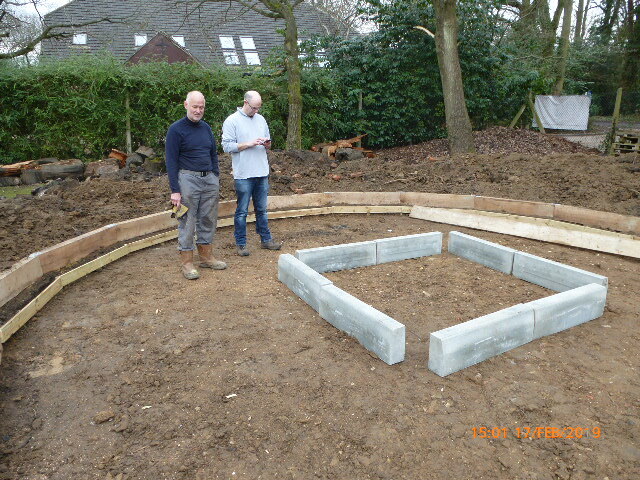 A new focal point is taking shape in the grounds of the 1st Woosehill Scout Group in Chestnut Avenue. 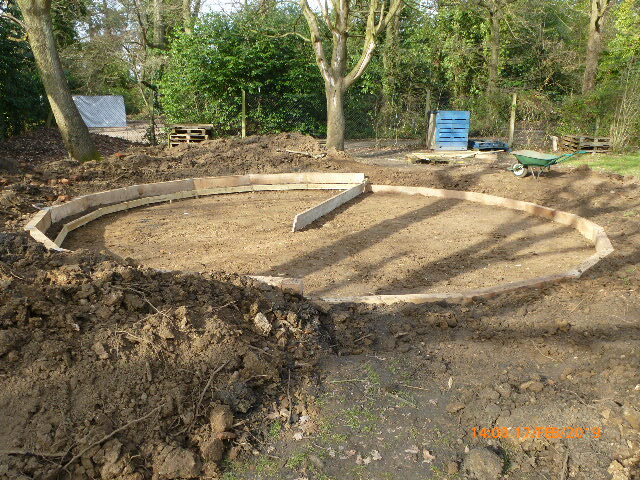 Contrary to popular belief the mysterious shape isn’t a crop circle or alien landing pad but the ground work and outline for a brand new fire pit with purpose built seating. 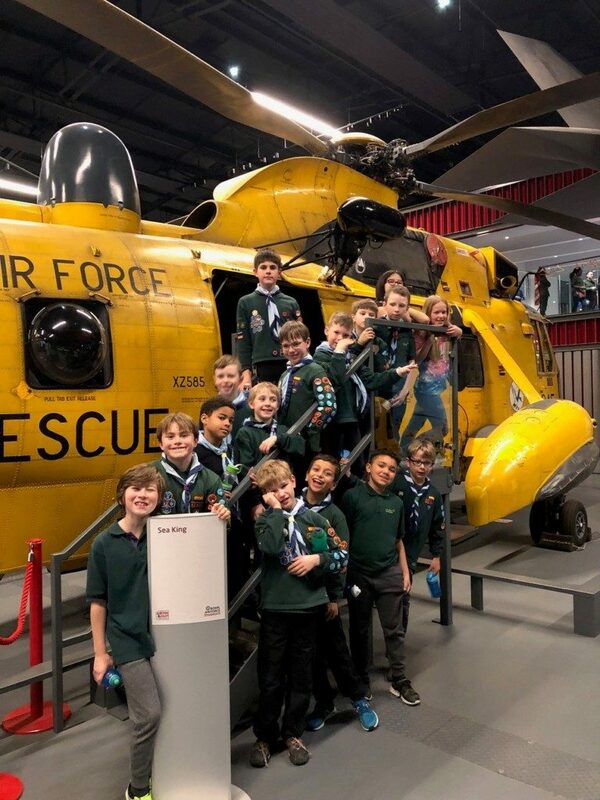 The work being carried out in the photos by none other than the Group’s very own Group Scout Leader, Steve Capel, has been funded by a donor who knows from their own experiences that camp fire evenings are a highlight for all 1st Woosehill members, be they Beavers, Cubs, Scouts and Explorers through to the adult leaders, volunteers and families. 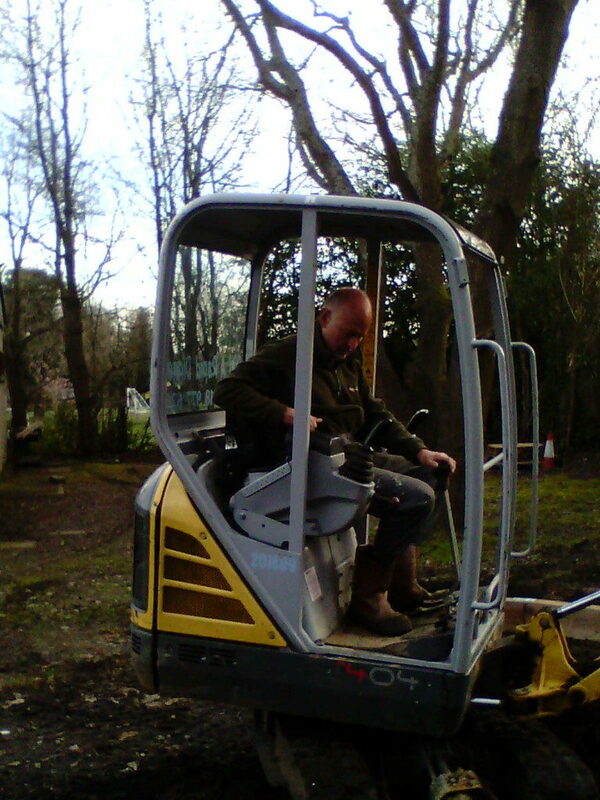 Work is quickly progressing, so watch this page to find out when the first fire will be lit to ‘launch’ the new facility! Our Christmas working party assembled between Christmas and New Year to work off some turkey and pudding, and tackle jobs inside the hut and around the grounds. 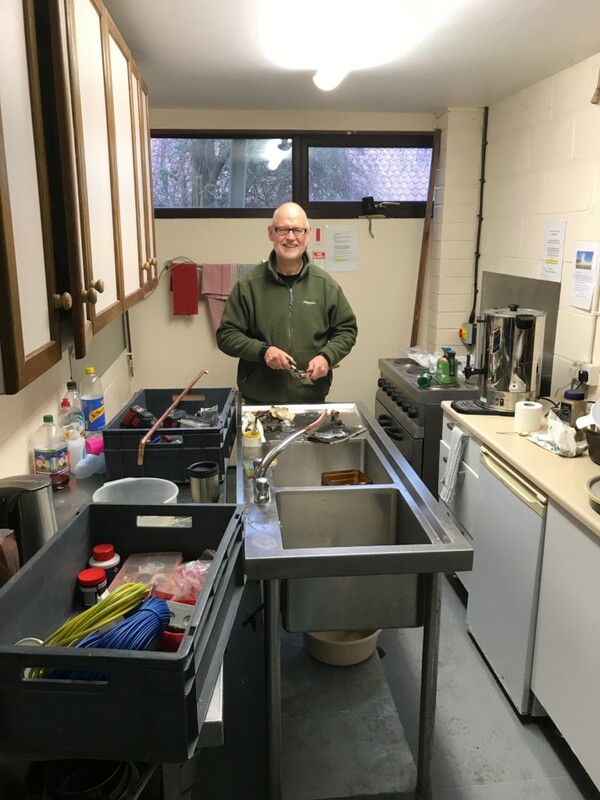 Steve Capel locked himself in the kitchen, to plumb in the new hand wash basin that we have purchased, as well as updating and improving all the water and waste pipework to the main sink unit. 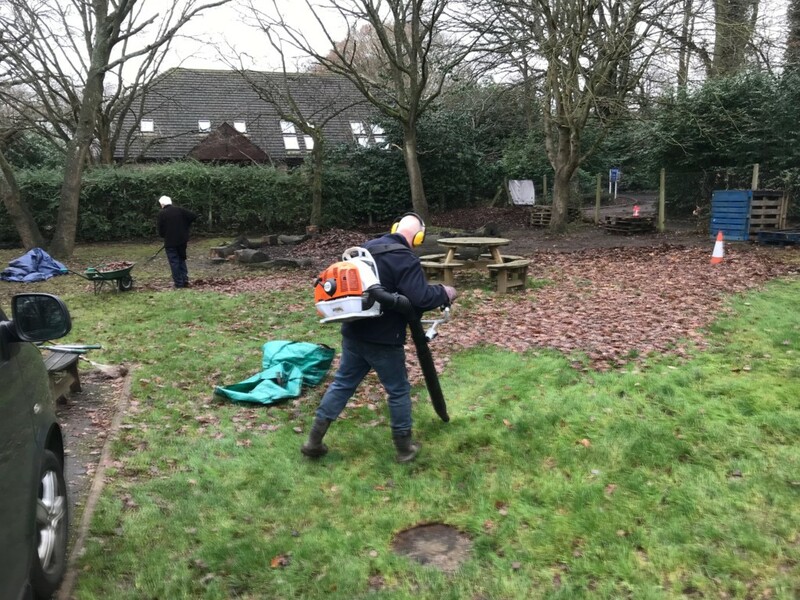 Martin Bishop, Pete Goodey and Phil Wells set to work outside, with the main objective being the removal of the vast amount of leaves that covered everything. We managed to clear all the leaves off the grassed area and carpark, as well as to cut back all the brambles and vegetation around the fenceline. 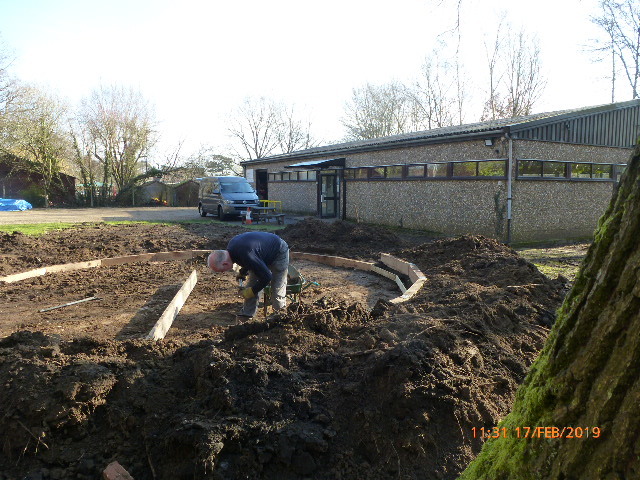 It took the 3 of us most of the day to complete this, but it will really help the grass to recover and grow in the spring now that it is no longer buried. 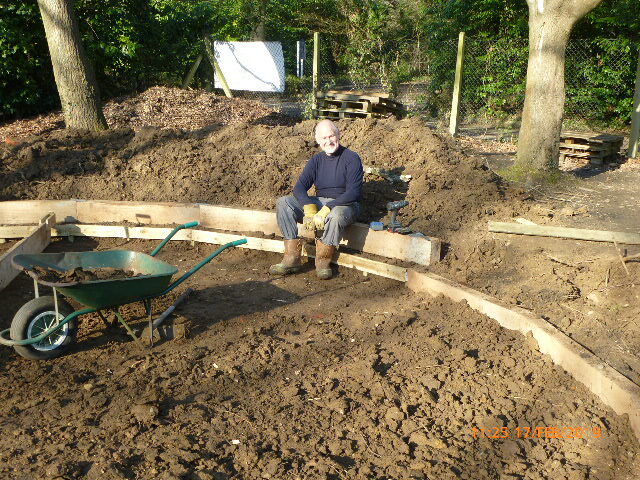 Many thanks to the 4 volunteers who did turn up, we could have tackled more if we had more helpers on the day. 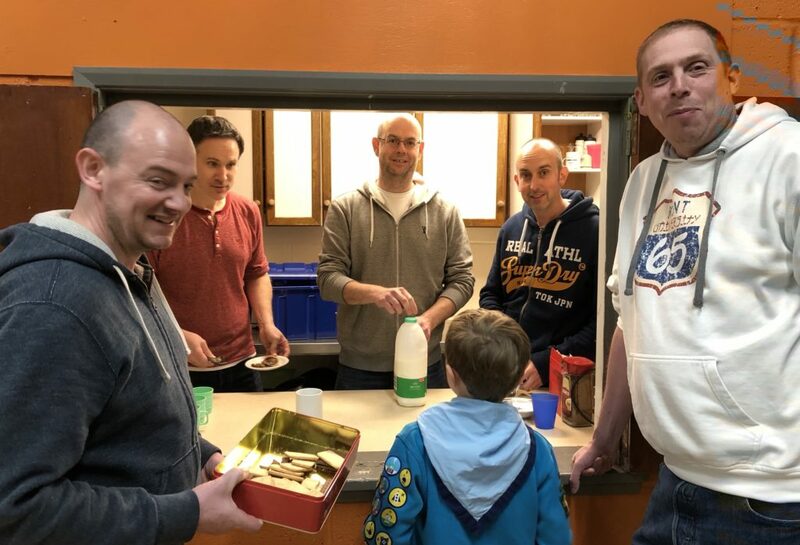 But don’t worry, if you weren’t able to help this time because of family commitments, there will be another working party in the spring and we would love to see you all then! 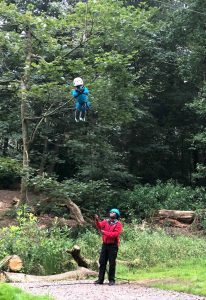 Super Beavers from 1st Woosehill proved themselves to be Superheroes with their daring stunts on Camp. 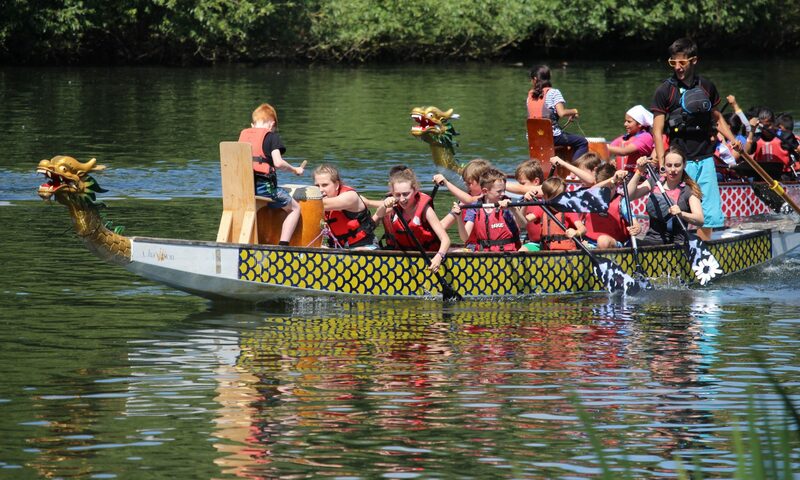 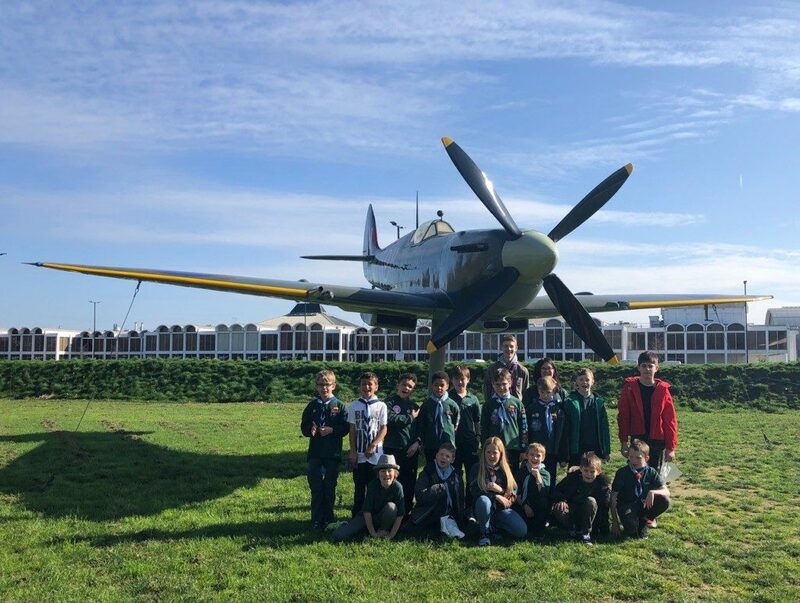 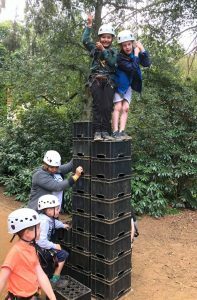 Twenty five Swifts and Kingfisher Beavers spent the weekend at Youlbury Scout Camp in Oxford at the beginning of September. 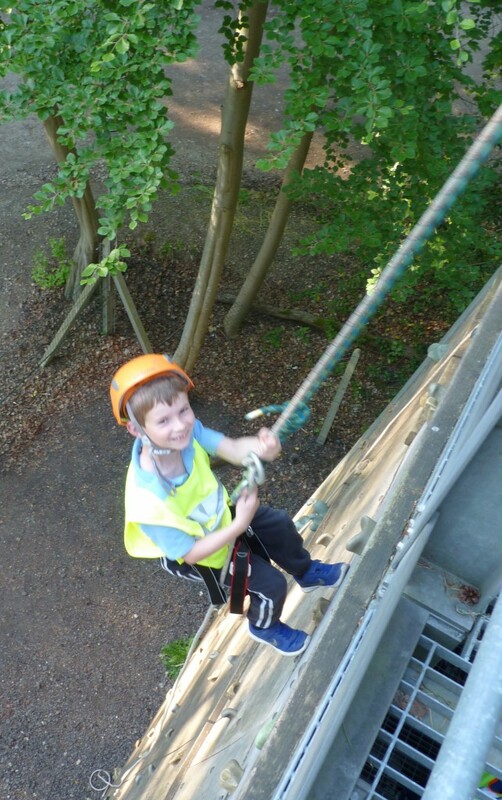 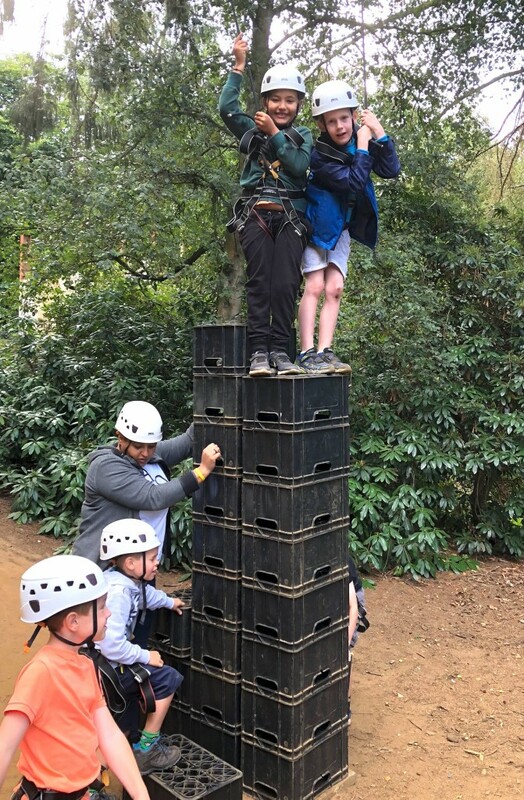 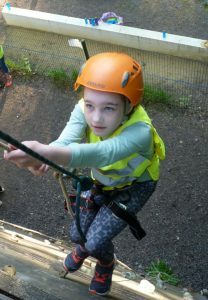 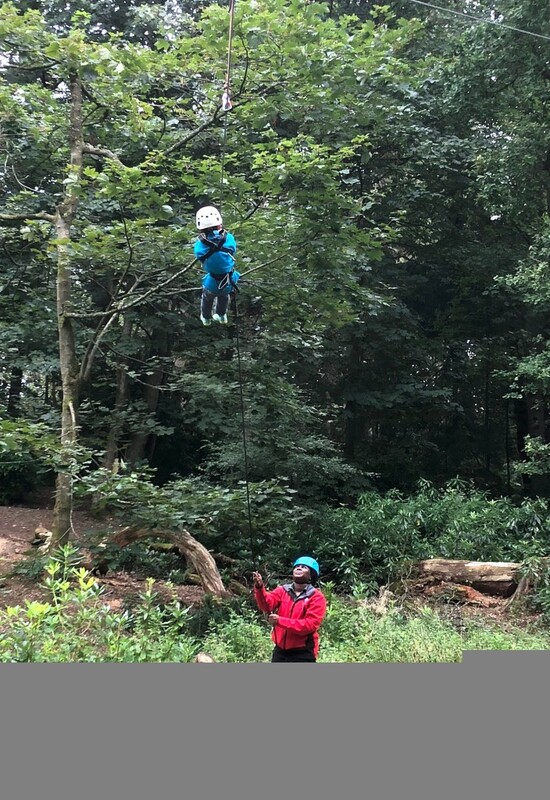 The boys and girls were challenged to complete five daring tasks – zip wire with 5m belay descent; crate stacking, archery, G3 swing and fire lighting skills – to prove what superheroes they are! 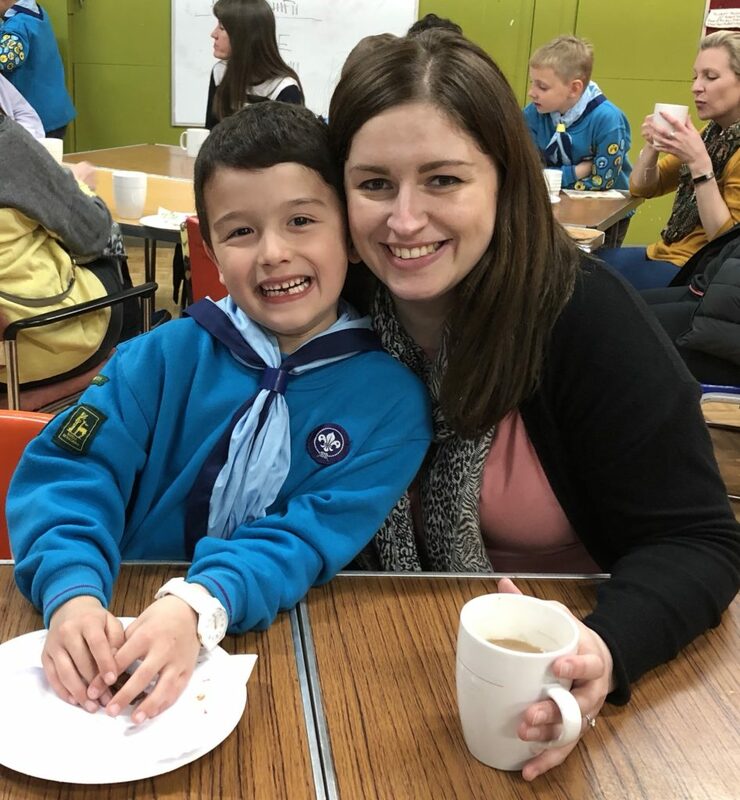 When not flying through the air or mastering dangerous skills, the Beavers also enjoyed overnight camping in Bell tents, hot chocolate and marshmallows around the campfire and bacon butties for breakfast. 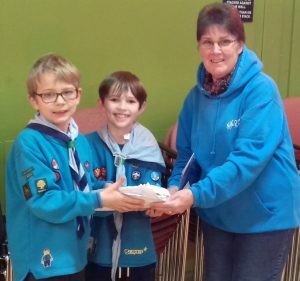  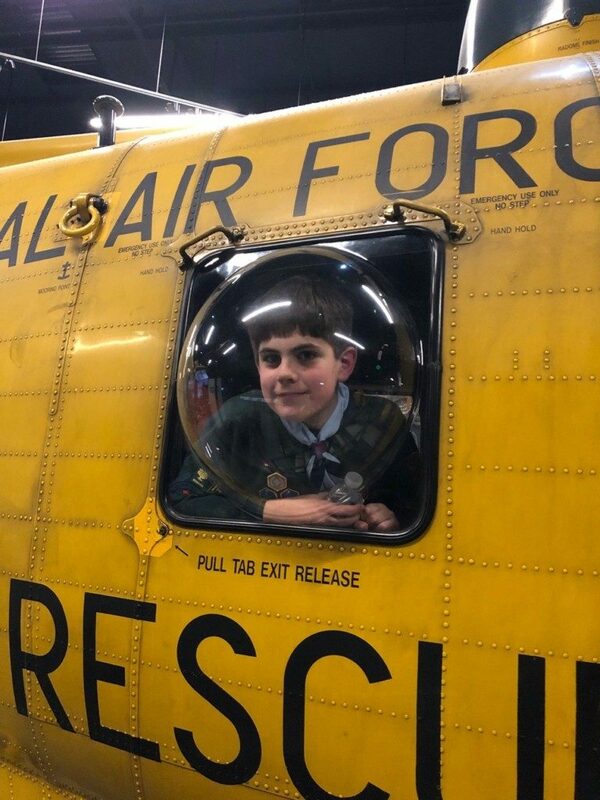 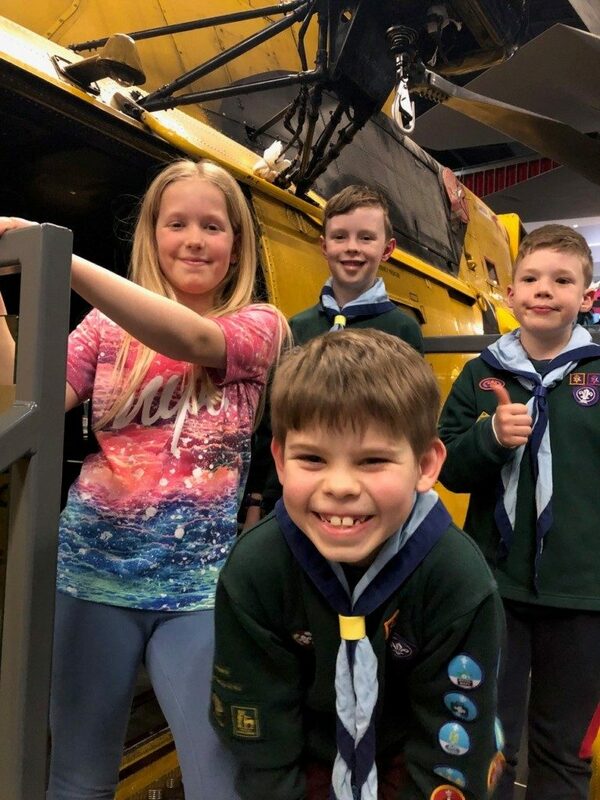 As an added bonus, all the youngsters, Leaders and volunteers were rewarded with the Damboree 2018 badge, part of a national Scouting campaign that encouraged Beavers to spend a night sleeping in a tent. 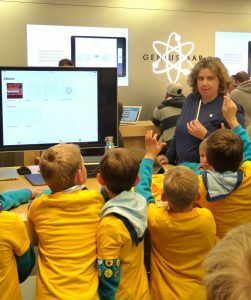 Beavers Build Apple Computers of the Future! 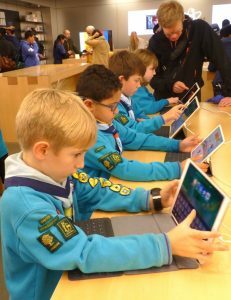 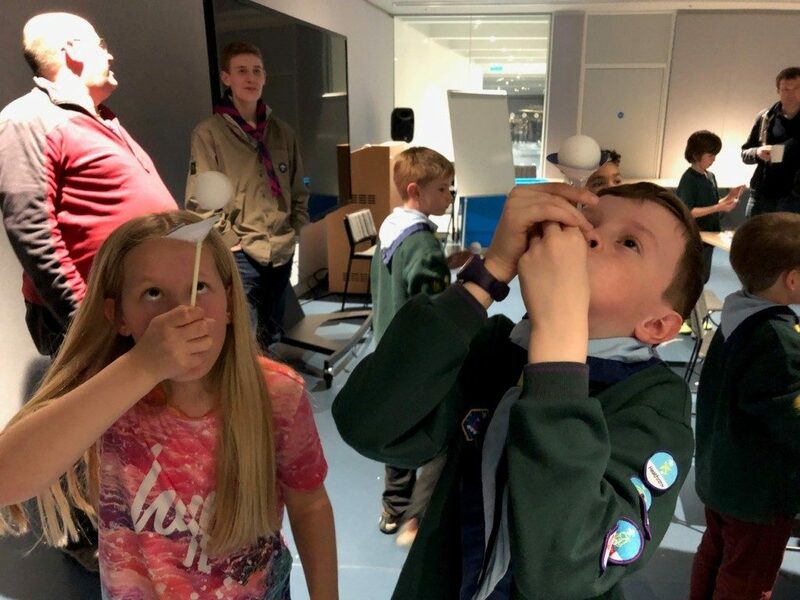 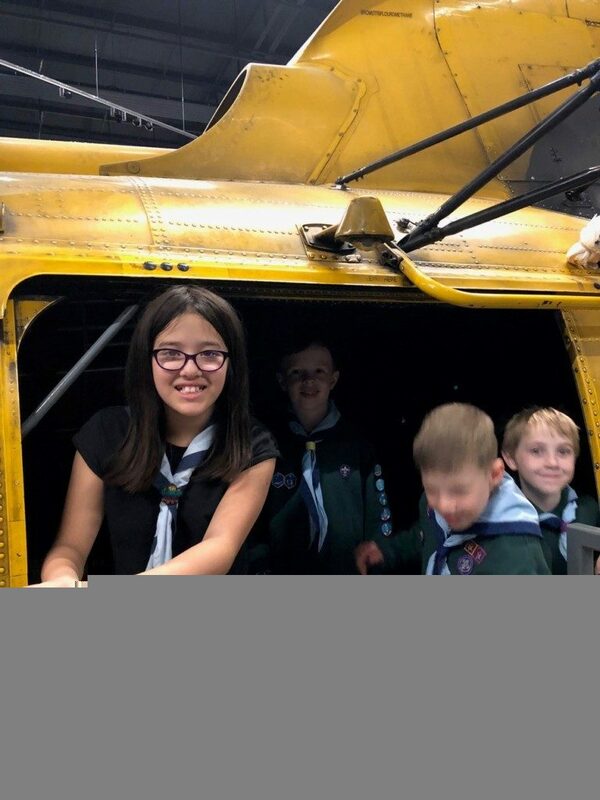 Swifts and Kingfisher Beavers had an amazing evening at the Apple Store in The Oracle learning to become computer designers of the future. 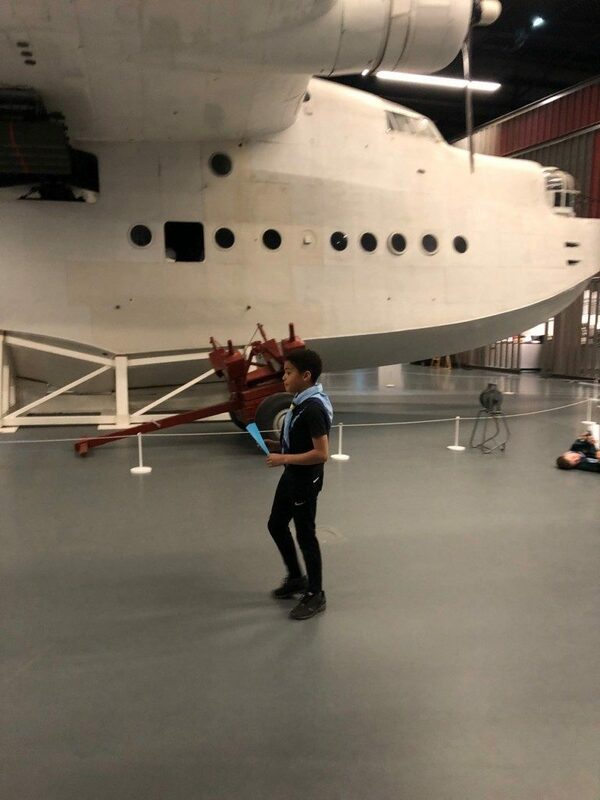 The youngsters found about technology and data, old computers and how to research them on the iPad, were shown how to work an Apple Pen and then used it to design a computer for the future! 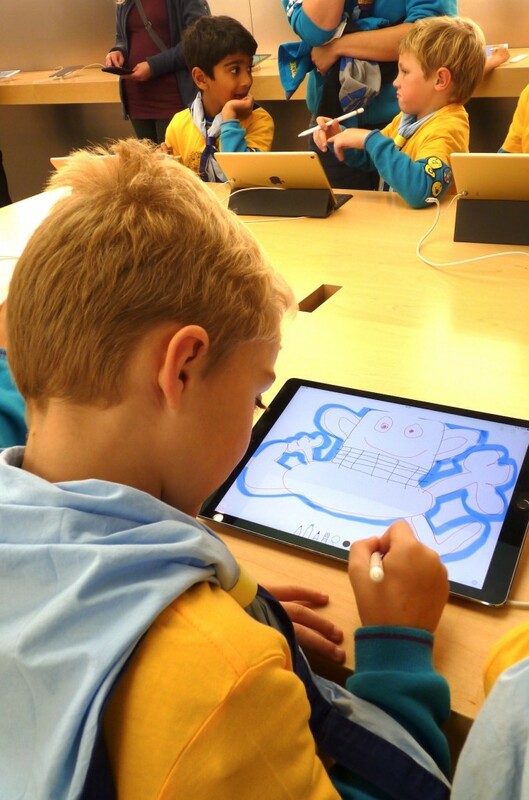 Beavers had such wonderful ideas as a computer shaped like a bunny, one that listened to commands, one where you simply had to hover your fingers over the keypad and one entrepreneur even designed their own brand name and logo! 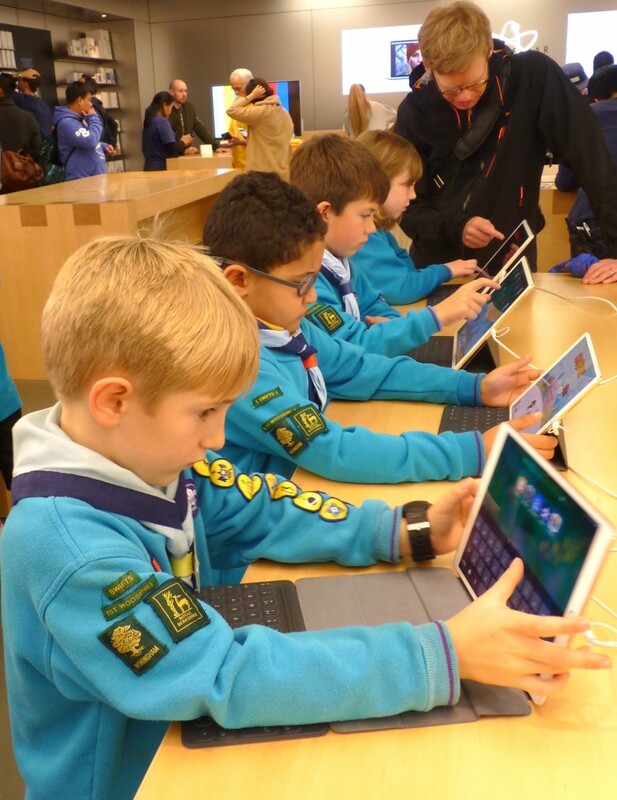 Thanks to the staff in the store, the Beavers were all able to complete their Digital – Citizen badge at the end of the session.